Back in September 2016 we learned that STX France, the shipyard renowned for designing and building some of the most legendary cruise ships, was up for sale following the collapse of its South Korean parent. In January of this year it was announced that Italian shipbuilding group Fincantieri had been selected as preferred bidder in the sale of a 66.66% stake worth 79.5 million euros ($92.6 million). The remaining 33,34% of the company would remain in the hands of the French government. After the election of Emmanuel Macron as French President in May 2017, Mr. Macron decided to review the terms of Fincantieri’s deal to acquire the STX France stake. In an attempt to ensure that skills and jobs remained in France the new government proposed a 50-50 share with the Italians. Both Fincantieri Chief Executive Giuseppe Bono and Italian Industry Minister Carlo Calenda responded that Fincantieri could walk away from the deal if France backed away from the conditions agreed under the government of former President Francois Hollande. 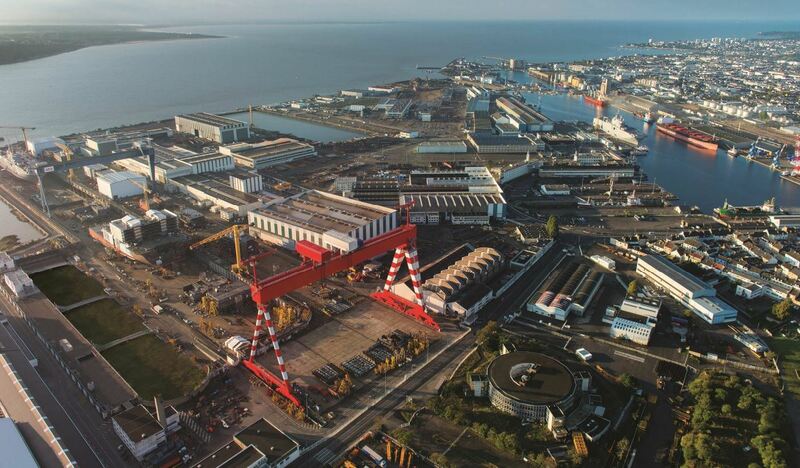 As a result of the Italian refusal to accept this new offer French Economy Minister Bruno Le Maire has said France will now (temporary) nationalize the STX France shipyard providing the state more time to find a better shareholder deal. The French shipbuilder STX France is one of the world’s leading shipyards who has built some of the world’s most famous ships. In 2016 the shipyard delivered Harmony of the Seas, the biggest cruise ship in the world to its owners Royal Caribbean and in May of this year delivered MSC Meraviglia, one of the next-generation ultramodern mega-ships for MSC Cruises. Currently the shipyard is working on Symphony of the Seas, the fourth Oasis class ship for Royal Caribbean. The company has orders to build the new project ‘Edge’ ships for Celebrity Cruises and seven other new mega-ships for MSC Cruises.